69 5/8" x 59 1/2" x 3"
76" x 38" x 6"
31" x 28 3/4" x 3"
83" x 31" x 12 1/2"
41 3/4" x 41 3/4" x 17 1/2"
37 1/4" x 31 7/8" x 17"
(New York—August 30, 2016) Celebrating Alfonso Ossorio’s centennial birthday, Michael Rosenfeld Gallery is pleased to present Alfonso Ossorio—Congregations: The First Decade, 1959-1969, an exhibition of twenty-four of the mixed-media assemblages coined by the artist as “congregations” that have become emblematic of Ossorio’s vision and capacity for innovation. This exhibition is the first to be dedicated exclusively to his congregations in almost two decades. The last such show was curated by Klaus Kertess for the Parrish Art Museum (Southampton, NY) in 1997. 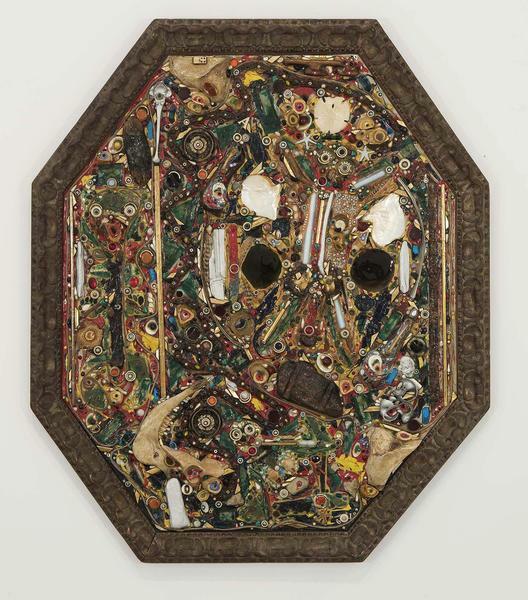 That same year, Michael Rosenfeld Gallery presented: Alfonso Ossorio: The Shingle Figures, 1962-1963. 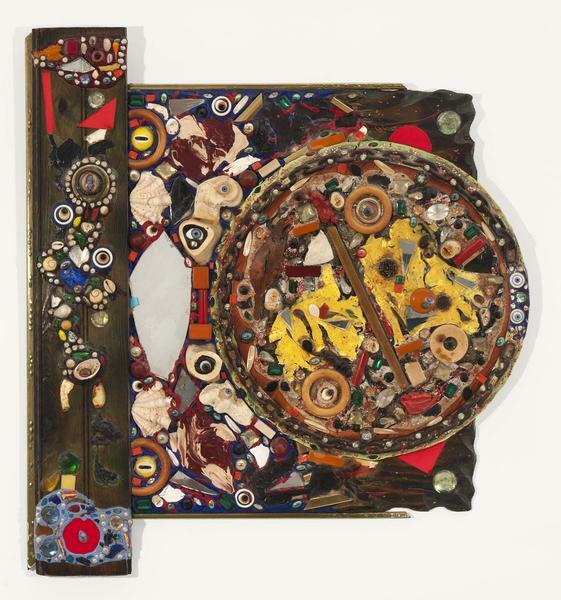 The illustrated catalogue for Alfonso Ossorio—Congregations: The First Decade, 1959-1969 will feature a full-text reprint of Forrest Selvig’s 1968 oral history interview with Ossorio for the Smithsonian Institution’s Archives of American Art. 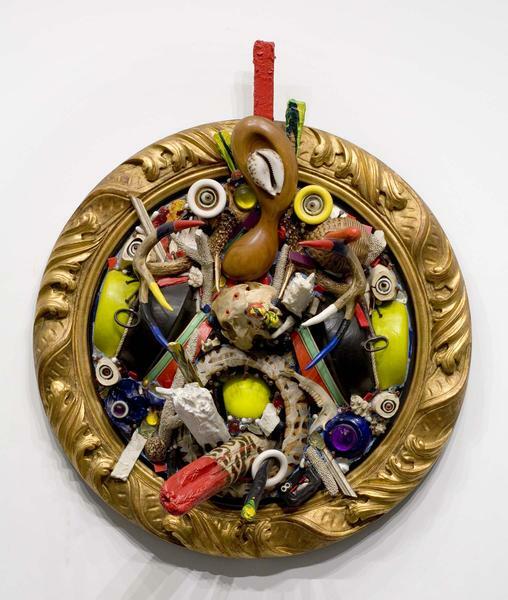 It was in this interview that Ossorio first publicly used the word “congregation” to refer to these assemblages. The choice of a word replete with associations to religious practice is appropriate given Ossorio’s lifelong relationship with Catholicism, but the significance runs deeper than its connection to worship (in fact, in Catholicism, “congregation” is rarely used in that sense). “Congregation” evokes a collective as well as the process of coming together. 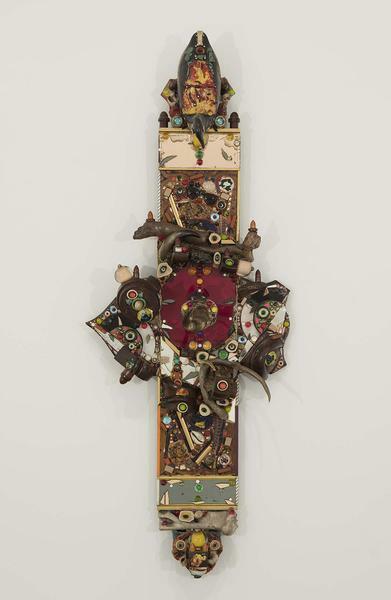 Thus, in addition to highlighting the spiritual themes that run through Ossorio’s entire body of work, “congregation” also reveals something about his aesthetic practice—how he conceives of artistic form and how he goes about putting a work of art together. 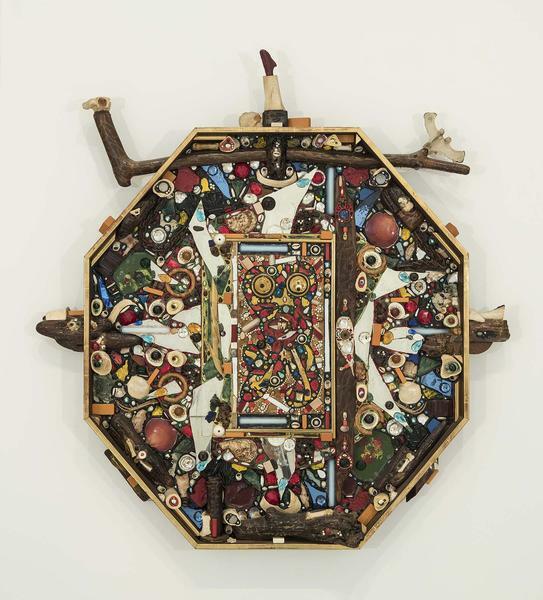 Often within deep wooden frames, Ossorio’s congregations bring together such disparate found objects as glass eyes, shells, animal bones, shards, pearls, feathers, and driftwood—synthesizing beauty with decay, refinement with crudeness, and reanimating (or resurrecting) these dead objects as vivid art. His congregations, like human ones, are both unified and atomized at the same time. 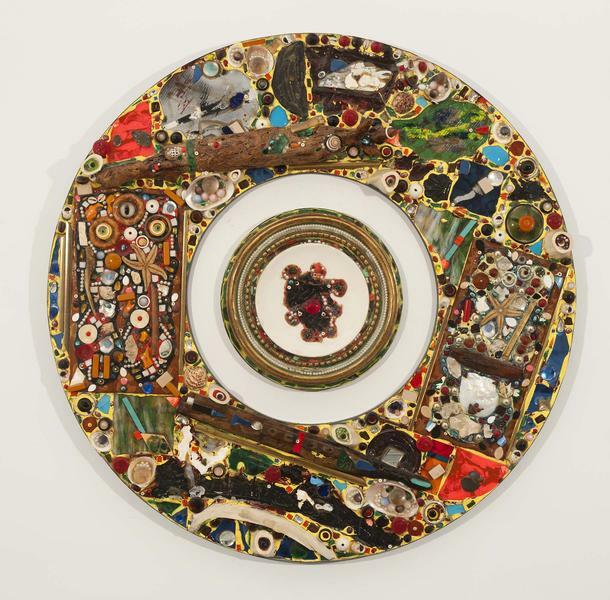 As Kent Minturn has explained, in these assemblages: “Ossorio’s mode of presentation is ‘everything all at once.’ Paradoxically, however, it is impossible for the viewer to perceive them in one fell swoop, to see a work entirely in one single glance. Each time the viewer confronts a congregation and tries to unravel its meaning, the work tells a new story.” Resisting immediate and complete apprehension, Ossorio’s work demands time and attention from its viewers. In return, the congregations enthrall and entrance, they pulse with energy, oscillating between the material and the transcendental, and providing a unique experience with every viewing. 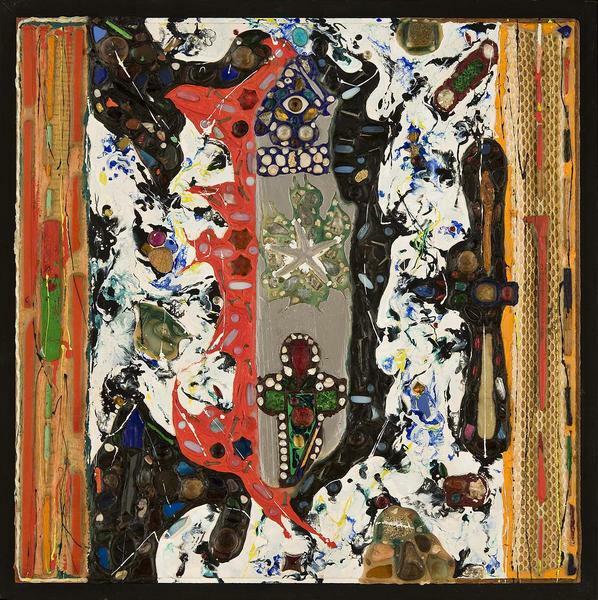 Alfonso Ossorio (1916-1990) was born in Manila, the Philippines, and educated in Catholic boarding schools before coming to the United States in 1930. 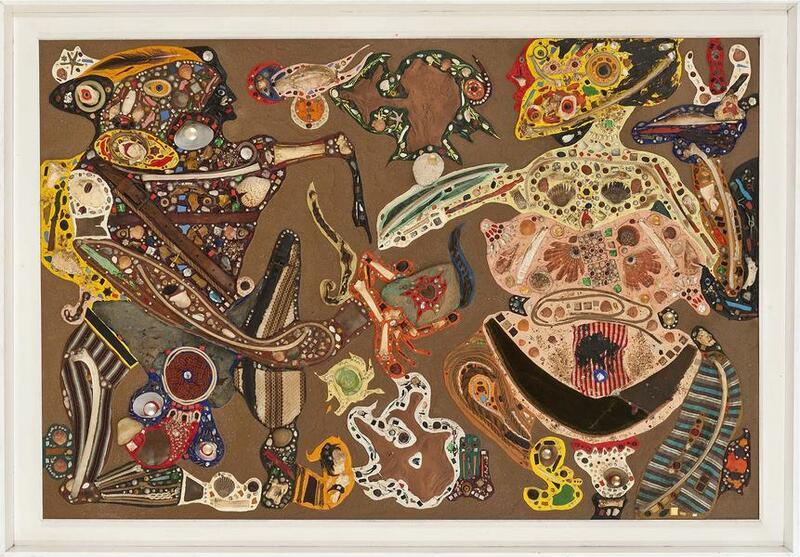 In the late 1940s, he formed vital friendships with Jackson Pollock and Jean Dubuffet, who showed him the value of reaching inward for inspiration rather than starting with an object or world external to himself. In 1950, Ossorio traveled to Victorias, Negros, to work on a mural for the Church of Saint Joseph the Worker, which his family had built. The trip signaled his first time in the Philippines since his childhood, and it opened old wounds from his youth, prompting him to produce a stunning set of wax-resist paintings collectively known as the Victorias Drawings and centered on themes of childhood, birth, sexuality, mythology, and religion. He sent some of the works to Dubuffet, who was deeply enthusiastic, and in 1951, Ossorio went to Paris and spent most of that year with the artist and his wife. When he returned to the United States, Ossorio purchased the East Hampton estate known as the Creeks, which he cultivated into “the Eighth Wonder of the Horticultural World.” He also agreed to house the Dubuffet’s entire collection of the Compagnie de l’Art Brut at the Creeks, where it stayed until 1962. Throughout his lifetime, his work was exhibited widely at home and abroad, including Documenta III (Kassel, Germany, 1964); Contemporary American Sculpture (Whitney Museum, 1966); Dada, Surrealism, and their Heritage (MoMA traveling exhibition, 1968); 30 Years of American Art (Whitney, 1977); and Alfonso Ossorio 1940-1980 (Guild Hall Museum, East Hampton, 1980). 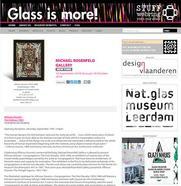 Most recently, the Phillips Collection in collaboration with The Parrish Art Museum organized and traveled Angels, Demons, and Savages: Pollock, Ossorio, Dubuffet. 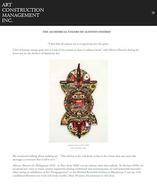 Michael Rosenfeld Gallery has had a longstanding commitment to Alfonso Ossorio. 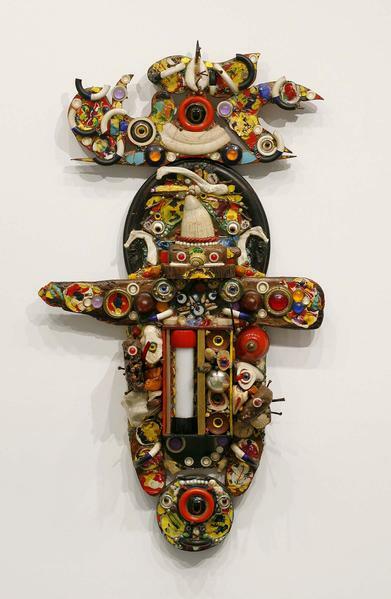 Since 1989, the gallery has organized eleven solo exhibitions with the support and assistance of the artist’s immediate family and the Ossorio Foundation. 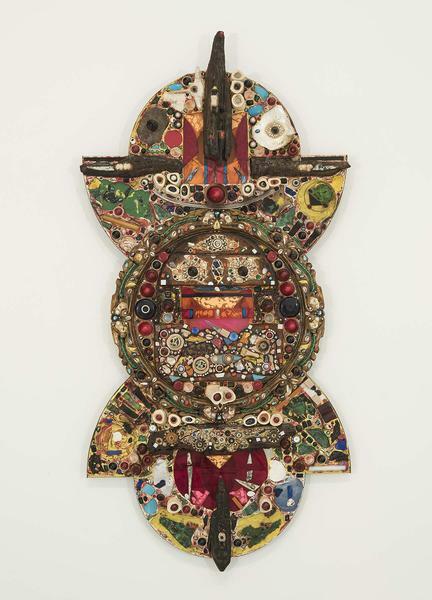 Alfonso Ossorio—Congregations: The First Decade, 1959-1969 is the twelfth. Each exhibition has revealed an important facet of Ossorio’s rich and dense career, and many have been accompanied by a fully illustrated exhibition catalogue featuring scholarship by leading art historians and curators. 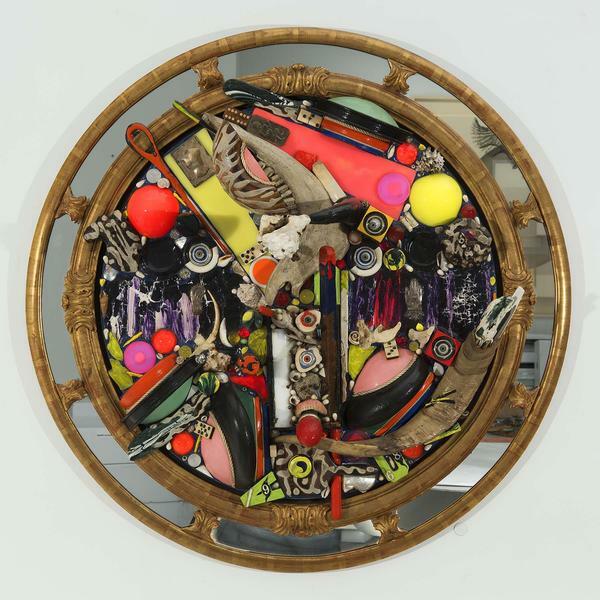 In addition, articles, reviews, and inclusion in museum shows too numerous to count have increased the posthumous visibility of Ossorio’s work. In 2016, one hundred years after his birth, Ossorio's contribution to modern art is clear: no significant twentieth century genre or medium went untouched by his hand; his contributions to surrealism, abstract expressionism, assemblage, and landscape architecture are unparalleled. 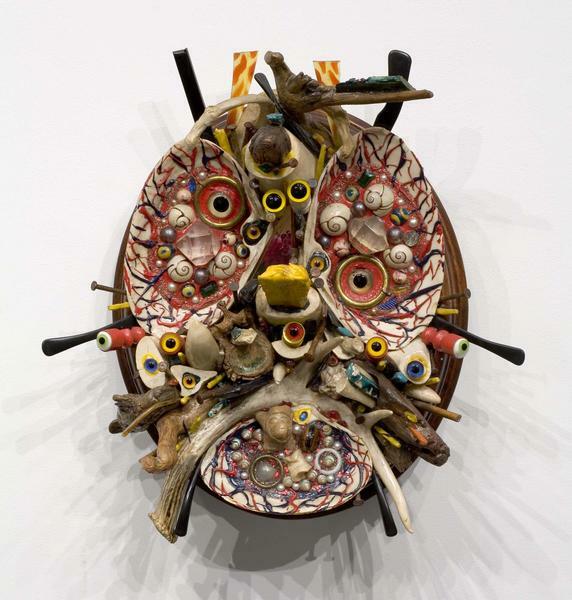 He is known internationally for complex compositions layered with references to psychology, myth, and spiritualism gleaned from the theories of Freud, Jung, and Nandor Fodor. Just as familiar are Ossorio’s interests in transmutation, evolution, and the natural world; his conflicts with Catholicism, wealth, and death; and his devotion to family, God, and mother. It has been a privilege and honor to illuminate Ossorio’s distinguished career, and Michael Rosenfeld Gallery remains devoted to the extraordinary vision of this artist. 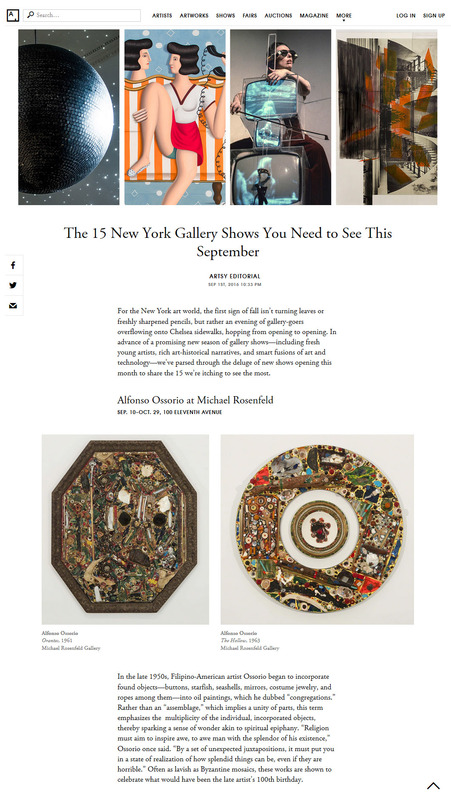 Michael Rosenfeld Gallery represents the Ossorio family and the Robert U. Ossorio Foundation.